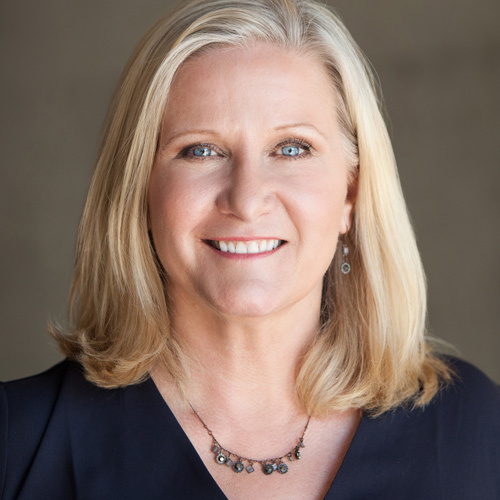 » When is it Okay to Talk Money? 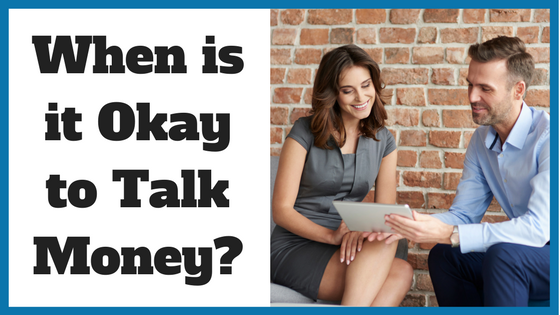 When is it Okay to Talk Money? Taylor Byrnes’ social media post went viral when her second interview with a Canadian food delivery company was cancelled after she inquired about compensation and benefits. (The company has since rescinded their interview cancellation). SkipTheDishes said that the questions weren’t in line with their company culture. This incident brings forth the question, When should you bring up salary in the job search process? Before you are interviewed? During the interview process? Or when they make you a job offer? 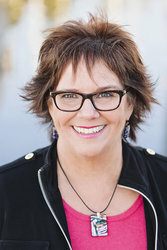 Knowing when and how to bring up the salary talk has been widely debated among career experts, but in my opinion, the best time to ask about compensation is when you are offered the position. When you bring up the question of salary prior to a job offer a company may interpret it as you being more interested in what money you can get, versus interested in the company and role you are applying too. Now, we all have to eat and money is important (or we would all lounge around on South Pacific Islands), but from a company’s perspective employers want to know that you really want to work for them. Demonstrating your interest in the organization, their culture and the role itself should take priority over the money conversation. Employers hire people that want to work for them – people who are truly interested in the company and people themselves, who align with the company values and culture and what the company does. 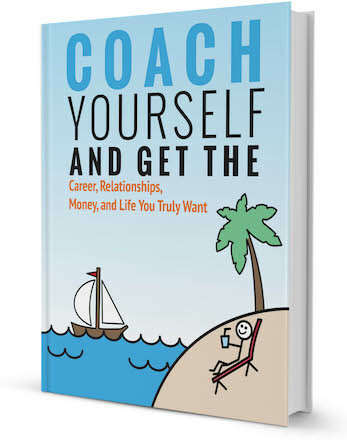 I recommend the “money talk” happen once a job offer is made, but it doesn’t have to happen right that minute. In fact, negotiating your salary on the spot isn’t recommended, as you may end up feeling pressured into taking whatever is offered. Instead, take a couple days to think over their offer (if they have given you one), decide on a reasonable counter-offer and then have the conversation. (Stay tuned for my follow-up article on negotiating salary). Of course, if you feel confident that the time is right, you can bring up the salary talk before you are offered the job, but I would recommend offering a range. The same goes if you are asked during the interview what your salary expectations are. Which brings me to my next point: Before you talk about your salary expectations with a potential employer, do your research! What if you want an idea of what the company pays? Going into your first interview, you want to have done your research so you know what this type of work and company may pay. Where can you research salaries? There are a few great websites out there to find salary and benefit information including: Salary.com, Salaryexpert.com, Indeed.com, Payscale and Glassdoor among others. Government websites like WorkBC and the National Occupational Classification (NOC) provide salary guides in Canada. In the US, you can find helpful salary information on O*Net and the Occupational Outlook Handbook from the Bureau of Labor Statistics. The ERI (Economic Research Institute), which requires a paid subscription, provides up-to-date salary and cost of living information for the US, Canada, the UK and some European countries. Robert Half and Associates has free salary and benefit compensation guides along with labour market trends for accounting/financial positions and IT positions. Whatever sites you look at, ensure you check the currency type, as some sites quote in USD and some in CAD. One of the best ways to get a sense of what companies pay is through informational interviews. In these interviews you ask the questions. You can ask what the salary range is for the position you are interested in. Note: Informational interviews are about gathering info and researching, they are NOT employment interviews. What if they ask me what I made in my last role? If possible, try to sidestep this by saying that your previous role was a different level/ had a different set of responsibilities, etc. or maybe the company size was much different. No matter where you are in the interview process keep in mind that you do not want to negotiate your salary until a job offer is on the table. Remember, at the offer stage you can ask for time to consider the offer and get back to the employer. And again, always be prepared with a salary range that fits in with industry standards, as well as your own expectations. 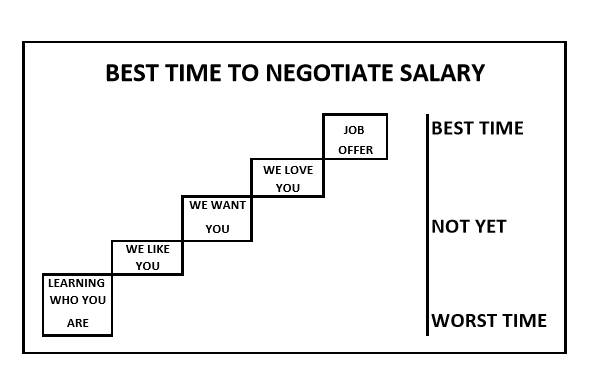 Stay tuned for my follow-up article about how to effectively negotiate your salary.